To reduce household junk, you simply need an actionable plan. Well, more of a day-to-day routine. Once you’re in the habit, it becomes easier and easier to cut down on unwanted and/or unneeded items. Things pile up quickly. And, if you are skeptical of that notion, simply think serious about moving (or back to your last move). Chances are excellent the very thought experiment is enough to change your mind. We all accumulate a great deal and rarely rid ourselves of most of it. So, read on to learn how to reduce household junk. 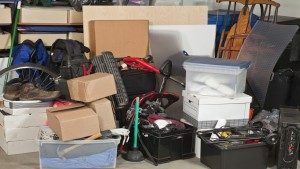 Now, if you have a garage or attic (or both) that’s bursting at the seams, you’ll probably take care of it with your annual spring cleaning spree. But, it’s very easy to get discouraged because of the sheer amount. It’s very large and overwhelming. You even might consider a dumpster rental to get rid of it all in one fell swoop. However, there are a few things you should know. If you do rent a waste container, you still have to do all the work. And, you can’t put just anything inside it because those companies prohibit certain items. Plus, if you order the wrong size, you’ll spend more or waste money. It’s got to be the right size to make it affordable. But, it is you who must do all the labor. None of these are concerns with a junk hauling service. Get into a routine. The reason you’re now dealing with so much junk is because you don’t have a routine. Commit to a realistic routine and you’ll find the change serves you well. Purge on a regular basis. Every few months, you should dedicate yourself to a single room and purge relentlessly. Don’t try to clean out every room over the course of a weekend because you’ll feel overwhelmed. Stop adding to the problem. Of course, the less you bring into your home, the less there is to manage and eventually throw out. When you need junk removal, just phone 800-433-1094 or visit Junk Garbage Removal.